2012 Oriental Ecclesiastical Sciences, Pontificio Istituto Orientale, Roma, PhD. 2010 Theology, Pontificia Università Gregoriana, Roma, (Equalization to a BoA). 2009 Humanities (Patristic Philology),Università”La Sapienza”, Roma, Master. Title: La Liturgia Bizantina nel Salento del XII secolo. Description: Historical overview of liturgical usage of XIIth century Salento, diplomatic edition with critical notes and historical-philological essay of a 12th century Italo-Greek euchologium, held by the Vatican library. Description: Diplomatic edition with critical notes, italian version and a historical-philological essay of a 10th centuryItalo-Greek euchologium, held by the library of the Badia Greca of Grottaferrata. 2013–today Visiting Professor, ISSR“FidesetRatio”(Pontifical Lateran University), L’Aquila. Lay delegate for Italy at the Moscow Patriarchate Archdiocese of Western Europe. 2008–today Committee Member, Moscow Patriarchate Archdiocese of Western Europe. Liturgical Commission for the translation of the Divine Office. 2012–today Reviewer,“Studi sull’Oriente Cristiano” journal, Rome. 2012–today Member,Society for Oriental Liturgies (SOL). 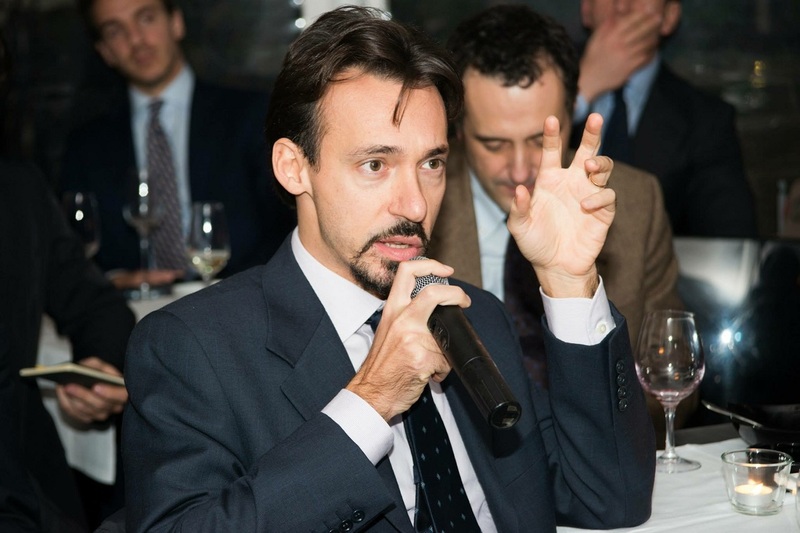 2012–today Founder,think-tank “Forma”on political philosophy. 2013–today Board Member, Associazione“Insieme per l’Athos”ONLUS, Rome. 2016–today Board Member, Associazione “ISSRAQ Fides et Ratio”, L’Aquila. 2016–today Legal Entity Appointed Representative (LEAR), Associazione“ISSRAQ Fides et Ratio”, L’Aquila. 2018–today Board Member, think-tank “Trinità dei Monti”, Roma.